The following is quoted from an 1848 book about scourge of smallpox epidemics that occurred in Boston's history. "In the years 1649, 1665, 1678, and 1690, the smallpox spread among the inhabitants of Boston, with great destruction in life. In 1702, 313 person died under its power. In 1721, 5759 persons had it in the natural way, and that number was a large half of the whole population. 844 died. At this time Zabdiel Boylston dared to inoculate three of his own household, which resulted in complete success; this experiment was violently opposed by the rest of the medical faculty, who carried public opinion with them. The clergy were in favor of inoculation and most fortunate and happy results have crowned his genius and his memory and presence. 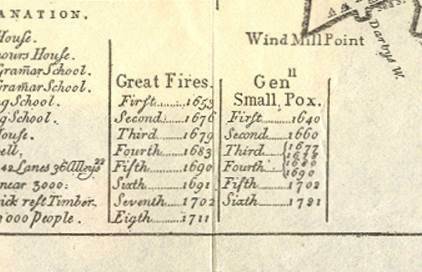 In 1730, about 4000 cases of smallpox occurred, one tenth of whom were inoculated. At this time, it carried off about 500. In 1752, it again appeared amongst the then 15,684 inhabitants, 7,669 were supposed to have then received the disease. Many of the citizens removed from the town, and all the residents but 174 had it either by inoculation or by the natural way. 2,124 were treated by the first method of whom 30 died. 5,545 were seized with it, of whom 539 died. It again made ravages in the years 1754, 1776, and 1778, but with less painful circumstances. From 1811 to 1820, but six deaths occurred by smallpox; from 1821 to 1830, eight deaths; and from 1831 to 1838, thirty nine deaths, and those mostly on Rainsford Island. A law was then in force for removing all infected persons with smallpox to the hospital at that place. They were treated with proper care and attention, and on that healthy spot they were generally restored. In 1836, a resistance was made to that law as being unconstitutional, which occasioned its repeal. Vaccination with the virus from cow pock matter, was a discovery made by Dr. Jenner in England, and introduced here in the year 1800, by Dr. Benjamin Waterhouse, which proved an effectual substitute for, and preventative against the smallpox. Life is not endangered by it or the face disfigured, and the city authorities have made a provision for vaccination [c.1845] of all who apply for it by the Port physician, who safely operated on 3,965 persons during the years 1844 and 1845; in 1846 on 5,592; and in 1847 on 1,263. The cases examined [there] with a view to test a safety from previous vaccinations, have equaled the above in number?the cases of smallpox which came under the care of the Port Physician in 1846 were 142, and in 1847, 71." An 1830s history of Boston states that the centennial celebration of 1730 was canceled due to a smallpox outbreak. About 780 people perished. A footnote states that on December 5, 1633, Wonohaquahan, the Native American Sachem of Charlestown and vicinity, who had received the English colonists with great kindness, had died of smallpox. 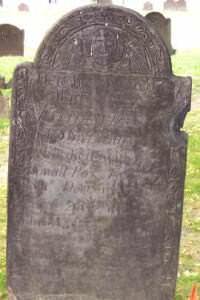 Samuel Maverick of Noddle's Island (East Boston) buried about 30 Indians in one day during that outbreak, and then he took in many of the orphaned children.